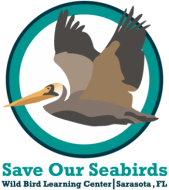 Our mission is to rescue, rehabilitate, and release sick and injured wild birds while educating our community about preventing injuries and preserving habitats. Birds that are unable to be returned to the wild are given permanent homes in our Wild Bird Learning Center, which is located in beautiful Sarasota, Florida. We house over 200 birds in our beautiful three-acre Wild Bird Learning Center, which is essentially an outdoor museum with live displays and educational signage. Our goal is to establish a lasting, world class rehabilitation, education, and research organization that will continue to fulfill our mission for generations to come.